wo of Lewis's most famous and compelling sermons have not received the attention they deserve-- "The Weight of Glory" and "Transposition." They are, in fact, grand reconceptualizations of the spiritual life. This book combines these two beautiful treatises, bringing their wisdom and insight into a whole new generation. 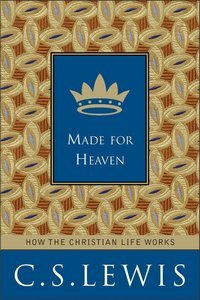 An ideal book for those looking to go deeper after reading Mere Christianity.